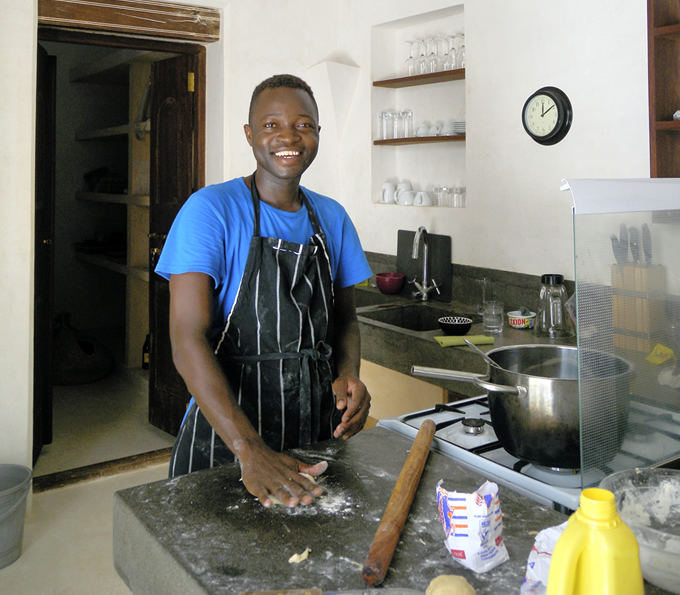 The fresh fish and local produce on Lamu means that you’ll be well fed at home by Tommy, the chef at Gaba Gaba House. He will show you a wide selection of menu options and you can choose from the local seafood, including yellowfin tuna, mahi mahi, cole cole, snapper, kingfish, prawns, lobster, vongole, mangrove crab, grilled, curried, flash fried, carpaccio – however you like it. 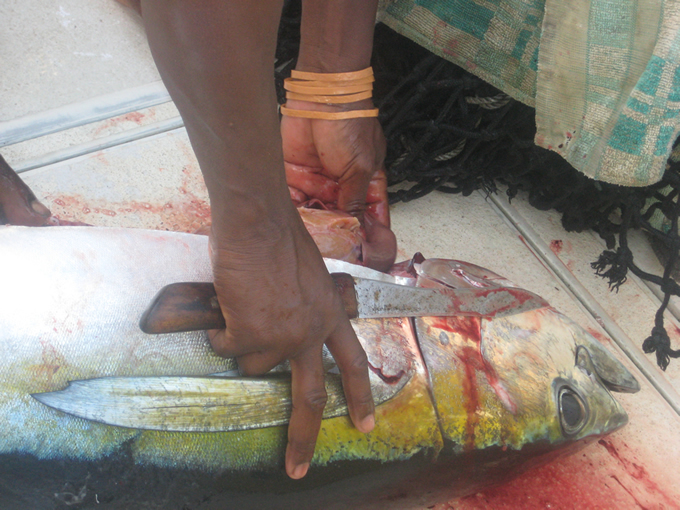 We buy fresh so it depends a bit on what’s caught that day and in season. 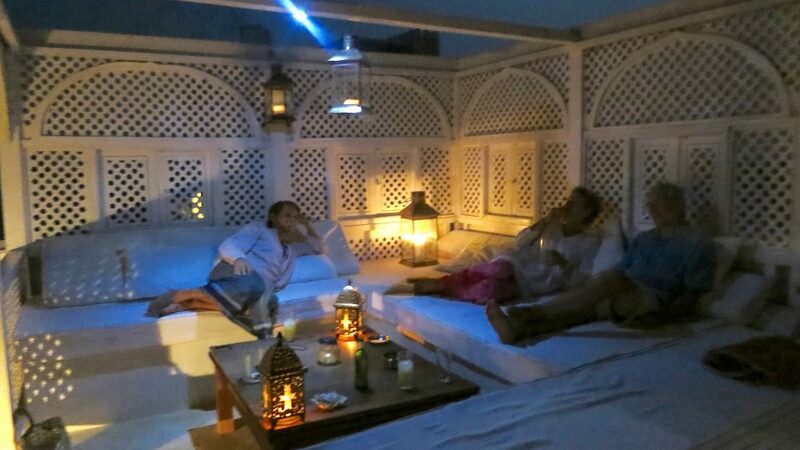 You can eat in the dining room or on the roof, under the stars. 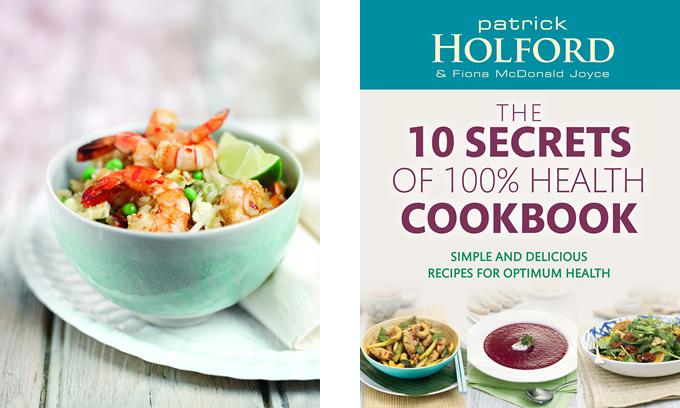 We love cooking healthy, low GL meals using Patrick Holford’s principles and cookbooks. We also cater for vegetarians and vegans, dairy-free and gluten-free. The world is your oyster[pic t/f] – and there are plenty of them as well if you wish. Tommy can bake you a cake if you wish. House specialities are the banana oat pancakes, with cinnamon and local honey and Coconut Crème Caramel for dessert. If you want to have friends for dinner Tommy and Abdallah can accommodate this with a little notice. On arrival give them some money eg 5,000 kenya shillings, let them know the kind of food your like, and they’ll go shopping. Tommy will show you the shopping bills and what is spent, and let you know the price of local seafood. There’s also an army bar for buying liquor and plenty of soft drink options, including coconut water, fresh every day. There’s a bar on the roof to stock up with whatever you want. 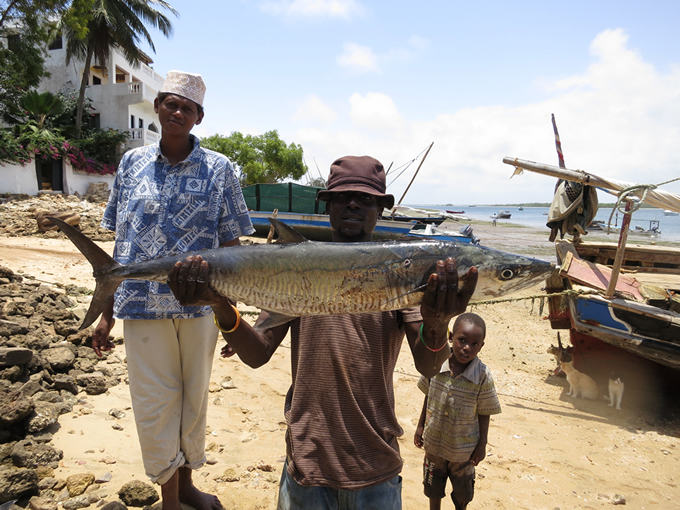 The excellent Peponi, also Baitil Aman and the seafront cafes at Stopover and Bahari. Peponi is a great place for lunch or dinner.